A hulking armoured vehicle of the CRPF, olive green against the dull yellow of crop stubble, stands morosely where the road curves into Ulihatu, a village of Munda tribals. Such mine-proof vehicles of the CRPF are not uncommon here, in Jharkhand’s Khunti district, 55 km south of Ranchi, right in the heart of the Chotanagpur plateau and still marked in deep red on maps flagging the activity of Maoist insurgents. But it’s a different protest that is gathering steam in this village these days, one that harks back to its most famous son, Birsa Munda, who led a freedom movement, or ulgulan (tumult), against the British, and later, in 1899-1900, the Munda rebellion against outsiders, or dikus, who had through economic might come to own much of the land in Chotanagpur, reducing tribals to debt and penury. 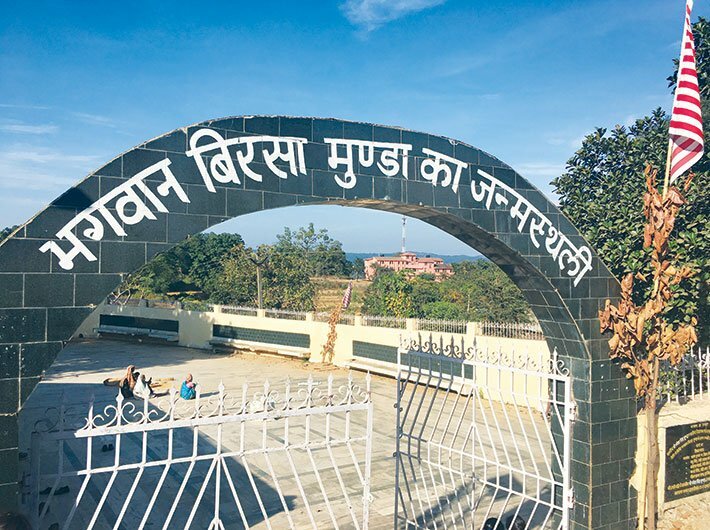 Past the tamarind and jackfruit trees, and the hens and chickens flitting from hut to hut and across the road, men are gathering in the common hall of the village, marked by an arch that says ‘The birthplace of Bhagwan Birsa Munda’ (see photo, above). Children sit watching on the boundary wall, and gun-toting CRPF commandos in fatigues strut about. From within the hall is heard the voice of men solemnly pledging to fight against the amendments to the Chotanagpur Tenancy Act (CNTA) and Santhal Pargana Tenancy Act (SPTA). These were hastily changed by the BJP government – first by an ordinance in June, and then, amendments in November – to remove the restrictions on sale of adivasi land for commercial purposes. The pledge is being read out in front of a statue of Dharti Aaba, or “father of the earth”, as the tribals have deified Birsa Munda. 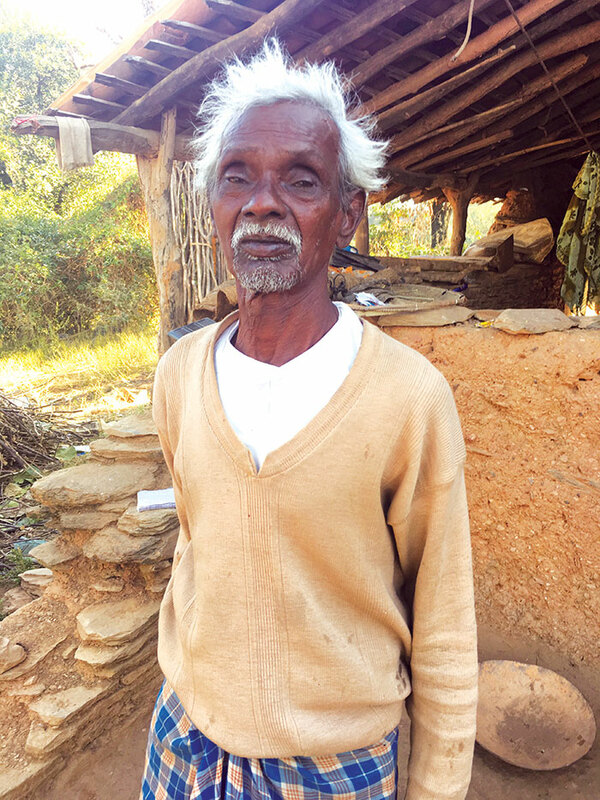 Sukram Munda, a descendant of 19th century tribal leader Birsa Munda. 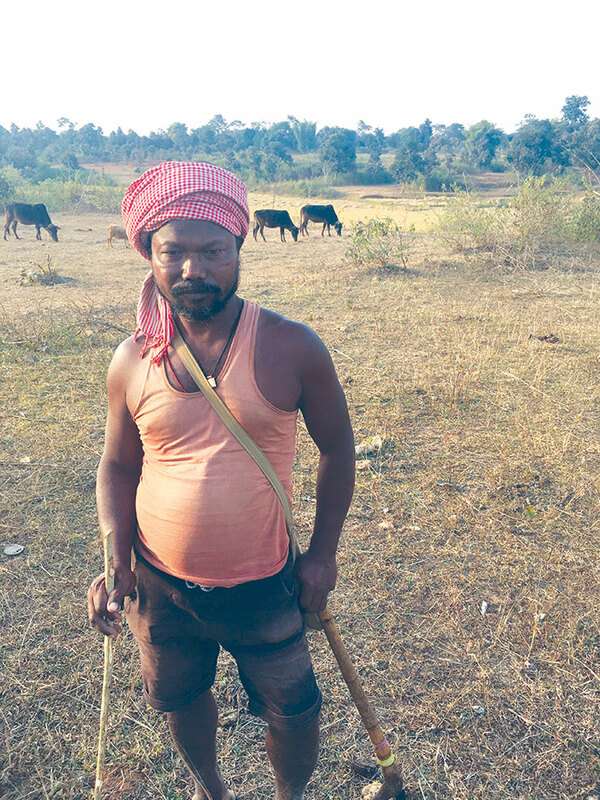 Sukram Munda, who has a wife and four children, works on his land to earn a living. Today, he stands with other tri­besfolk to fight to keep what his redoubtable forefather won for them more than a hundred years ago after a bitter fight with the British that saw him jailed and cost him his life at 25 years of age. Aggressive protests by adivasis have shaken Jharkhand since the government first moved to have the laws changed. In fact, protests started as early as August. On October 22 last year, Abraham Munda was killed in police firing in Seoko, Khunti district. Five others were injured in police action. Prabhu Sahay, an eyewitness, told Governance Now that villagers of Seoko were leaving for a protest in Trekker vans when the police stopped them. Soon, people from other villages arrived in vans, and the tribals gathered courage to argue with the policemen to let them pass. “By this time, the DySP arrived on the scene with his bodyguards, who threatened to open fire if the tribals did not disperse,” he says. “Provoked, the tribals dared the guards to do whatever....and they opened fire on us. Abraham Munda wasn’t fighting with the police. He was seated in a small shop, facing the other way and got shot in the back.” This was the third time Jharkhand police had opened fire on tribal protesters. In all, seven people have been killed in police firing. The government and the police have been ruthless. On November 25, the opposition called for a state-wide bandh. Nearly 9,000 preventive arrests were made, and the whole state was placed under prohibitory orders. This, activists say, has never happened before in the state. 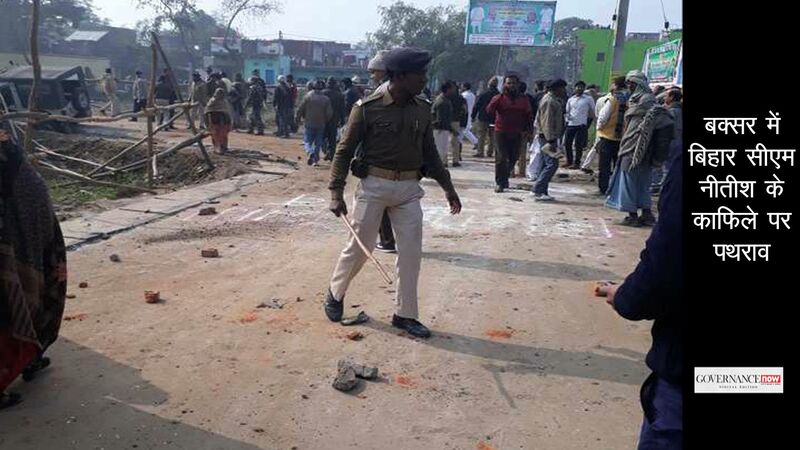 Rallies across the state and in Ranchi, the capital, were broken up with lathi-charges and water cannons. In places like Dumka and Khunti, adivasi hostels were raided and young men were rounded up to prevent protests from gathering steam. A bandh was also called on December 2. Again, the police struck beforehand, raiding youth hostels and rounding up youths at random. 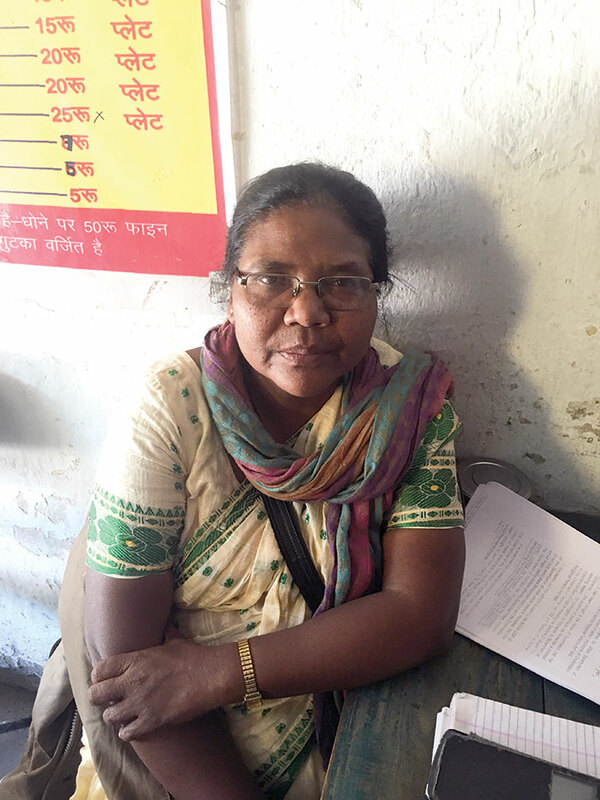 Among those picked up by the police was Daya Mani Barla, a middle-aged woman who runs a small tea-shop and also the Adivasi Mulvasi Astittva Raksha Manch, an NGO committed to protecting tribal rights. On the morning of November 25, the day of the rally in Ranchi, when she was going to her tea-shop on Club Road, just off the city’s main artery, she saw a bunch of policemen on the way. Fearing they might stop her, she changed her route. By the time she reached her tea-shop, the cops were there. They took her into custody and kept her in a ‘camp’ (Khunti stadium) with other protesters the whole day. In regions that are deemed forests by statute (that is, under the Indian Forests Act), the Forest Rights Act of 2006 has come into effect. It grants legal rights to traditional forest-dwelling communities and gives them a say in conservation. However, the adivasis in the Chotanagpur and Santhal Parganas region have over the last couple of centuries turned to agriculture. The land in contention is now deemed agricultural – that is, it’s technically not forest land. Even so, since the ulgulan, the CNTA and SPTA have ensured that adivasis are not deprived of their land – through forced debt, distress sales and so on. The amendments do away with that protection. Worst of all, the government they elected can at any time deprive them of land by acquiring it for any project it chooses. In a way, it’s a problem of hybrid identity. Originally, the region was forested, and for all practical purposes, the adivasis were forest-dwellers. But the British pillaged the region for timber, coal, minerals and other produce, unleashing the forces of commerce that deprived adivasis of everything that they took for granted as their own – the land, the forests, the forest produce. Many of them turned to agriculture, and through uprisings brought the CNTA and SPTA, which protected their land rights. Now, they are adivasis by birth and farmers by occupation. They fiercely hold on to their pride in being both. This pride is combined with an age-old suspicion of outsiders, or dikus, who enriched themselves and impoverished many tribals. There is a political angle to that now: the chief minister, Raghubar Das, is a non-tribal, the first to occupy that post. So what about the government’s claims that there is no development in the state and that the amendments will usher in positive change? “Any such logic behind the amendments is useless,” says Barla. Even with the CNTA and SPTA in place, she says, over the last 108 years, more than 2 lakh hectares of agricultural land has been freed for industrial use or for dams, and this has displaced more than 80 lakh people in the name of development. Only a few of the displaced got jobs. When needed, the government has always found ways of circumventing CNTA and SPTA. In the late 1950s, the government invoked ‘eminent domain’, or the power of the state to expropriate land for public use, under the Land Acquisition Act of 1894, to acquire land for the Hatia project of the Heavy Engineering Corporation. Tribals allege that some of the land so acquired was later sold to outsiders who didn’t belong to the scheduled castes or scheduled tribes. In 2013, although parliament enacted laws for transparency, fair compensation and rehabilitation, especially to help tackle Maoist insurgencies in mineral-rich areas, about a dozen old laws on land acquisition in these areas were kept outside the 2013 laws’ purview. So it’s a semblance of protection that the CNTA and SPTA offer. And tribals are unwilling to let that firewall be breached. Jharkhand, carved out of Bihar in 2000, is seen as an adivasi state, although the adivasi population has gone down in the region from roughly 50 percent in 1901 to about 26 percent in the 2011 census (the figure is contested by tribal leaders, who say they were undercounted due to migration for work). The major tribal communities are the Mundas, Santhals, Hos and Oraons. Through a series of uprisings against the British and the ‘outsiders’, the CNTA (1908) and SPTA (1949) were created to protect tribals’ land rights. These acts are under the Ninth Schedule of the Constitution of India, under which land reforms laws are protected from challenge in courts. 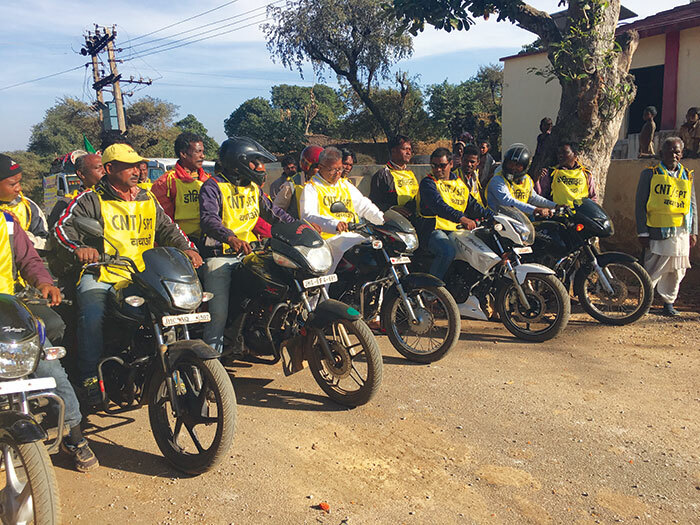 In addition, the Fifth Schedule allows for considerable autonomy in tribal areas (in nine states), though not as much as the Sixth Schedule (which applies to the northeastern states). One of the chief protections offered here is the prohibition or restriction of land transfer, so that land remains with tribals. The SPTA prohibits transfers of all land (including that of non-adivasis) and allows transfer only in a few categories, while CNTA permits the sale of non-adivasi land and of adivasi land to other adivasis within the same police station. This is to be done with the permission of the deputy commissioner. Besides, land owned by people belonging to the scheduled castes can be sold only to other people belonging to the scheduled castes who live within the same district. The CNTA, however, permits acquisition of land for purposes like mining and industry. What the amendments have done is empower the government to expropriate land for non-agricultural, commercial purposes. The amendments literally kick the restrictions on transfer of tribal land, opening the floodgates for non-tribals to buy land. They will also swing the balance against adivasis in matters of self-governance, provided by the Panchayat (Extension to Scheduled Areas) Act (PESA) of 1996. Tribals will also be adversely affected in matters of fair compensation and resettlement. Earlier too, governments with majorities worked their way around protective legislations, either through ordinances or through new laws that circumvent old ones. PESA, for instance, had mandated that gram sabhas had to be consulted before acquisition of land for development in scheduled areas. But this was done away with in the Jharkhand Panchayat Raj Act of 2001. All in the name of development. But, going by the protests against the government, the tribals don’t seem to be buying that argument. In his appeal to the president of India and the governor of Jharkhand, Dr Rameshwar Oraon, a Congressman and former chairman of the National Commission for Scheduled Tribes, details how tribals stand to be cheated, forced, or coerced into parting with their land once it is declared non-agricultural. It will become extremely difficult for a tribal, he says, to get back his land if he’s cheated of it. The ruling party, the BJP, offers its defence of the policies the government is following. Manish Jaiswal, the BJP MLA from Hazaribagh, says, “The CNTA and the SPTA are colonial laws. Adivasis should have the right to use the land for commercial purposes – as they please. And for government projects, we are only thinking of schools, anganwadis, health centres and malls. Compensation will be four times the market price of land and it will be done in four months.” The protests, he says, are not by the people of Jharkhand. “It’s rather by the opposition, the Christian missionaries, the Maoists who are against development in the region. The opposition wasn’t even ready to debate the amendments in the legislature,” he says. He suggests that tribals who earn money from land sales could invest in businesses and profit from it. The ‘Ruhr’ fears are not without basis. Like Chhattisgarh, also a tribal state where Maoist insurgency rages, Jharkhand has become a hotspot for corporate behemoths. During the ‘Make in India’ week in February last year, Jharkhand bagged Rs 62,000 crore in investments. The Vedanta group and the Adani group have been showing interest in projects related to power, fertilisers, steel and chemicals. The Adani group is investing Rs15,000 crore in a 1,600 MW thermal power plant in Paraspani, meant to supply the Bangladesh grid. It’s investing another Rs 35,000 crore in a fertiliser project. The state has done its bit to facilitate business. Since the BJP came to power in December 2014, the state rose from rank 29 to rank 3 in ease of doing business. This happened with a single-window system for project clearance. But there are other ways this happens. Barla points out how the Adani group refused to have a power plant unless Jharkhand relaxed the norm that 25 percent of the power generated should be supplied to the state; the Adani group insisted on providing that from alternative sources. The state buckled to the demand, and now all of the power produced in Paraspani will go to Bangladesh. The resources of the state will be used, but no benefit will accrue to its people, says Barla. 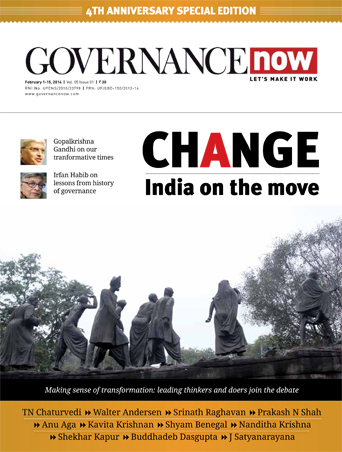 The influence of corporate lobbies in the state comes in the wake of the narrative of “development for the sake of the nation”. In the name of national interest, immense sorrow has been inflicted on adivasis. 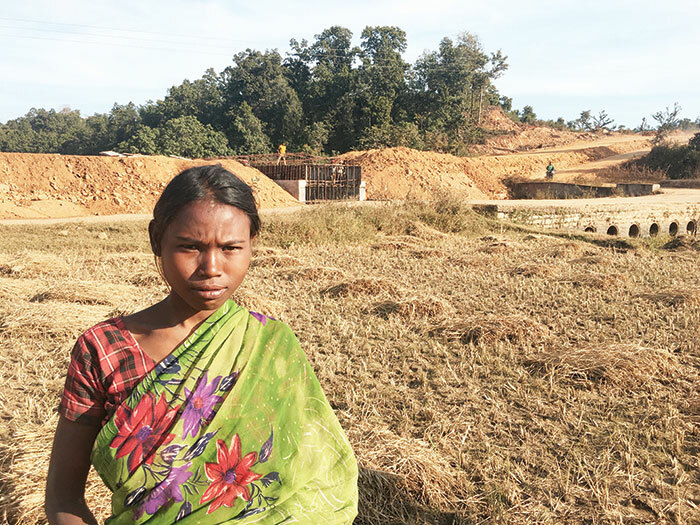 Their homelands are razed, the resources extracted, and the adivasis are left to fend for themselves – either looking for jobs at construction sites in the cities or migrating to places where they provide cheap agricultural labour. But on the ground, it’s a symbol of how easy it is for the state to deprive tribals of their land. On either side of the road lie paddy fields, the harvest stacked and ready for winnowing. Most of the farmers who own the land are unhappy because the new road was laid in haste, widening the old one and encroaching upon the fields with impunity. What has happened in Birsa Munda’s birthplace, the cradle of the 19th century ulgulan, may soon be happening across Jharkhand – on an industrial scale.